BBC Radio 2 - Jools Holland, Suzi Quatro guests. Suzi Quatro joins Jools and the band, playing live, picking some of her favourite songs. The glam rock pioneer and feminist icon also introduces material from her new album. 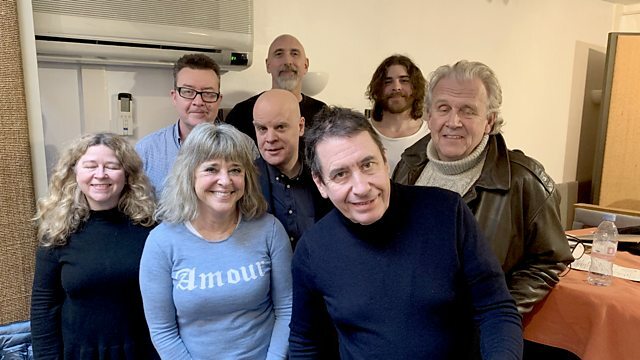 Suzi Quatro - one of the biggest selling female rock stars of all time - is Jools' guest, playing live with the band and picking some of her favourite songs. The glam rock icon - who released the critically acclaimed album "No Control" in March - was recently honoured as a Legend at the Vive Le Rock Awards in London. In a career spanning over 50 years Quatro, the inspiration for Joan Jett, Chrissie Hynde, and Debbie Harry, has sold over 60 million records and maintains an active touring schedule around the world, as well as a parallel calling as a writer and broadcaster. Her latest documentary - a look at the RAK record label - will be broadcast by Radio 2 at Easter. The glam rock queen gets down with Jools and the band for a Chuck Berry classic - "Sweet Little Rock'n'Roller"! Whole Lotta Shellac Goin' On. The Very Best Of Marvin Gaye.